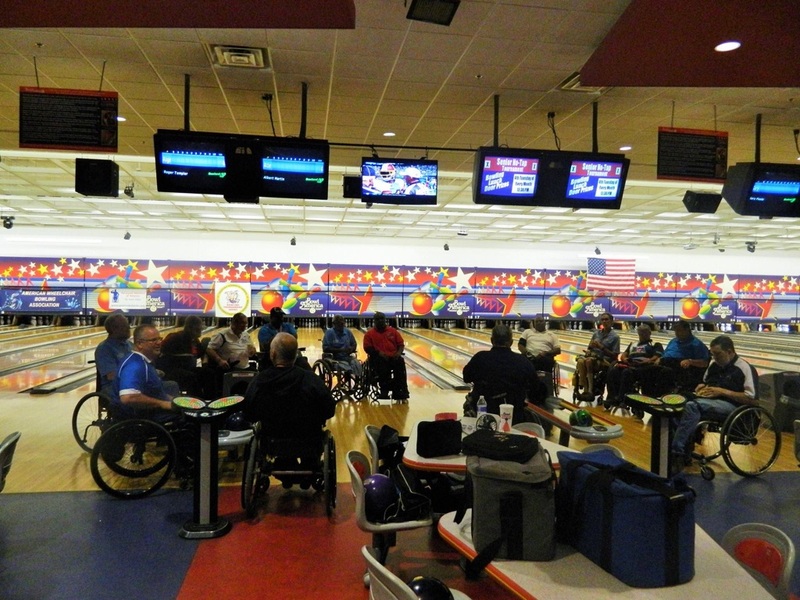 As so often happens a number of bowlers that had entered this 1st Annual MAPVA event had to withdraw for one reason or another. We certainly missed Al Uttecht (family death), board members Wayne Webber and Harold Bowman for personal issues, as well as Norm Bissell, and Craig Harvey who was hospitalized. 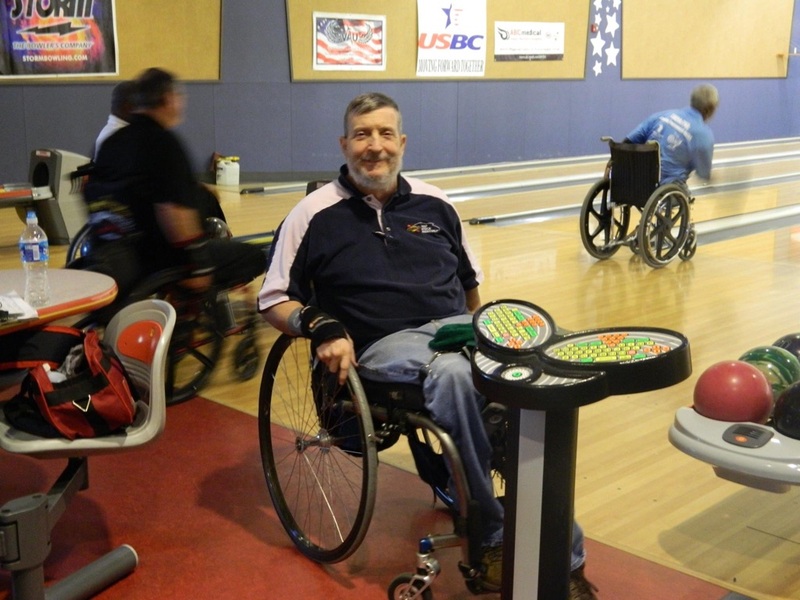 That said, we still had 17 AWBA bowlers compete and we were pleased to welcome a new bowler from West Virginia, Albert Martin, who plans on becoming a regular participant in the future. I am most appreciative that the chapter honored our commitment to those competing to payout the entire prize fund as advertised. 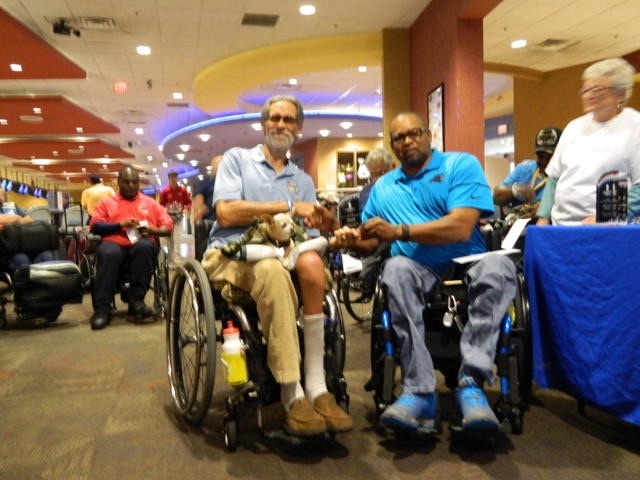 My hope is that next year many more of our bowling friends around the country will avail themselves of our hospitality and beautiful weather and make the commitment to us that we have made to you… to provide the best tournament possible to all attendees. Friday morning began with 7 doubles team bowling 4 games of qualifying with 4 teams advancing to the roll offs. 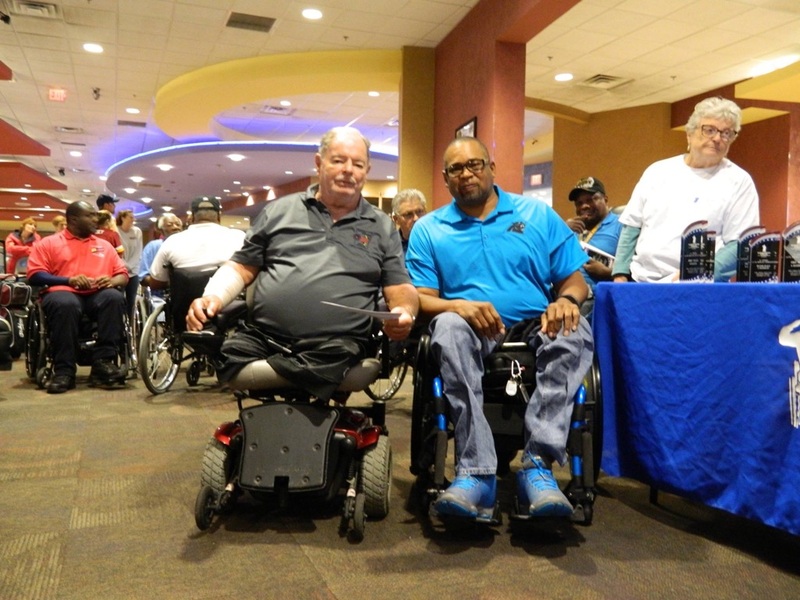 Ron Richardson teamed with Dave Roberts to capture the title defeating the team of LaDon Chambers and George Holscher. 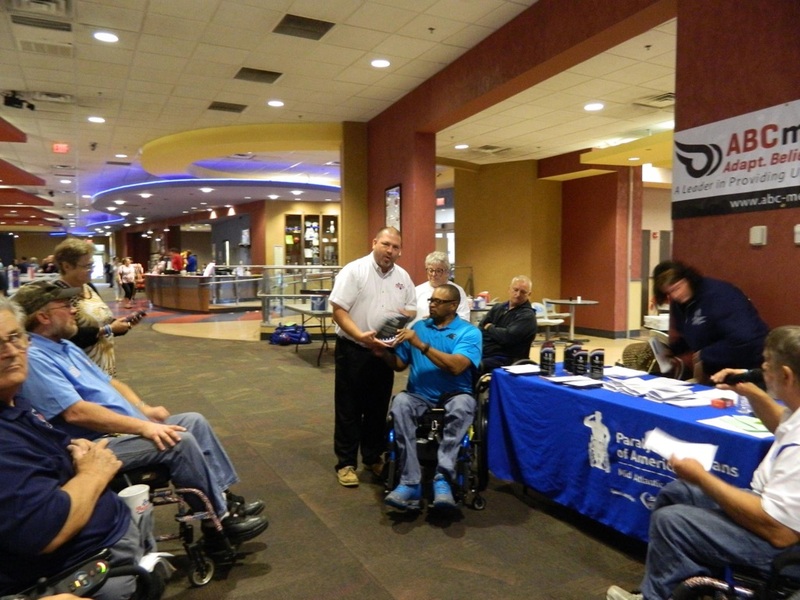 We had a bowling clinic with approximately 10 bowlers brought out by the Veterans Administration to try their own hand at bowling. 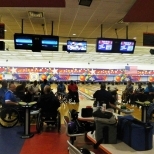 Several were able to throw the ball with their arm and a few were restricted to using the ramps provided by the bowling center. 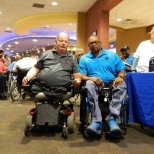 I believe that was an excellent opportunity to demonstrate what the AWBA can offer these individuals in terms of improving the quality of their lives by becoming active participants through bowling. 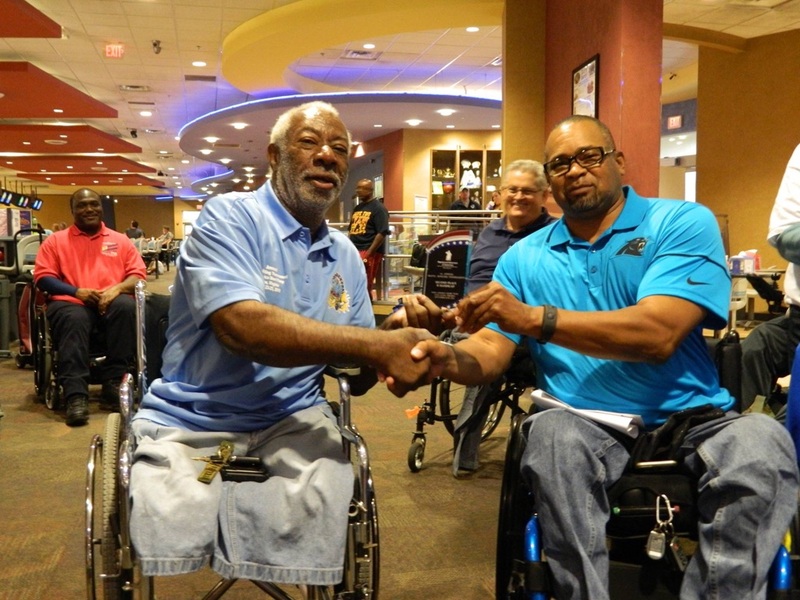 In the roll offs of the A division Gary Poole defeated Jimmy (208 to 165), before losing to James Carver (211 to 197). Carver failed to advance as Phillip Daniel bested James (203 to 177). High Qualifier, Terry Rock prevented Phillip from another win by a margin of (195 to 178). 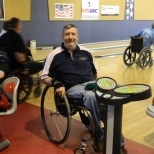 The B division roll offs found Ron Richardson winning over Steve Edgar (197 to 184) before losing to Chris Bacon (210 to 186). 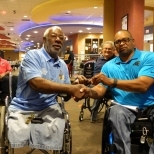 Chris continued to advance by bettering Keith Green (216 to 196) but was unable to successfully unseat High Qualifier LaDon Chambers falling (216 194). In the Scratch finals, Roger Templar won over Albert Martin (144 to 125) before bowing out against Dave Roberts (171-136). In turn Dave fell to Keith Scott (155-145) and High Qualifier George Holscher held off Keith in the finale (190-139) to win the championship. 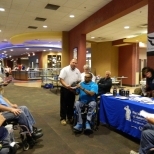 Congratulations to all the bowlers who competed, especially to the champions. 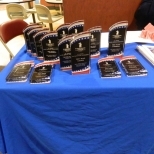 My thanks to all the individuals who helped in raising funds especially, Jen Purser who I could not do this without her help, my wife Sue, MAPVA volunteers, and Lisa for whatever needed to be done to further assist our staff. 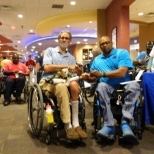 The Mid Atlantic Chapter PVA, National PVA. 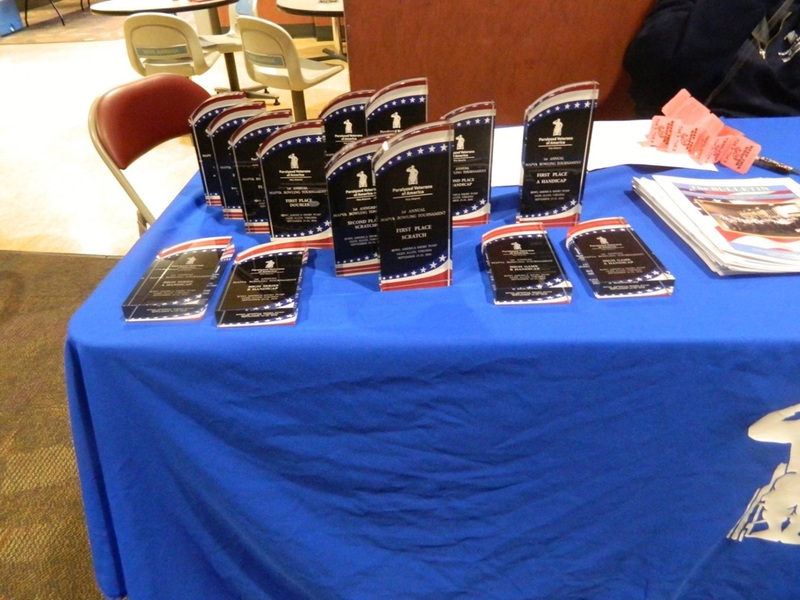 Many thanks to the Bowl America staff for their great support both with the bowling and the luncheons they provided. Hope to see twice as many bowlers next year.